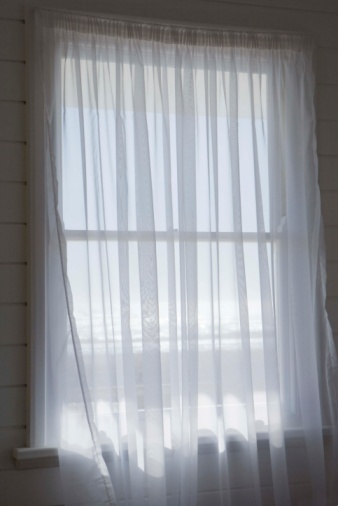 Your bathroom air can become heavy with moisture from hot showers and steamy baths, but opening the bathroom window will allow all this excess humidity to escape. If no window is available, however, that moisture will collect on every available surface -- creating a perfect habitat for mold and mildew. Mildew stains are unsightly, and mold is associated with several respiratory disorders, so it is essential to find ways to keep your windowless bathroom dry. Excess moisture may collect on the wall in a windowless bathroom. Open the door of the bathroom after using the shower to allow excess humidity to escape. Remove wet bath mats from the floor after bathing. 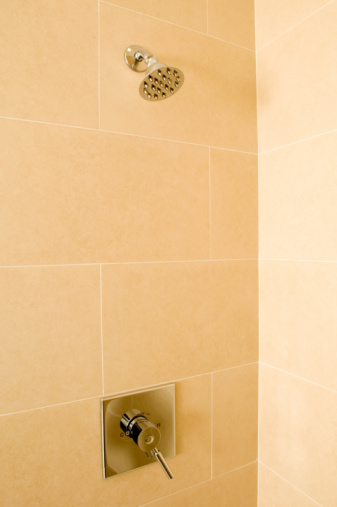 Slide a squeegee down the wet walls and doors of the shower stall to direct the water towards the drain. Mop up any standing water at the base of the shower or on the bathroom floor. Hang up towels on the towel rack to help them dry more quickly. Run a circular fan in the center of the bathroom, facing the doorway, to draw moisture out of the bathroom. Utilize a compact room-size dehumidifier to reduce the humidity in the room.